I was visiting one of my old classmate during my visit to Penang in May 2014, I overheard him having a conversation about ordering some bak chang from a friend’s wife for Dumpling Festival or the Duan Wu Festival which falls on the 5th day of every 5th lunar month of the Chinese calendar. So I decided to ask him where can buy the best bak chang in Penang. Of course, he directed me to this particular shop and adviced me to ask for kae leow (extra ingredients). 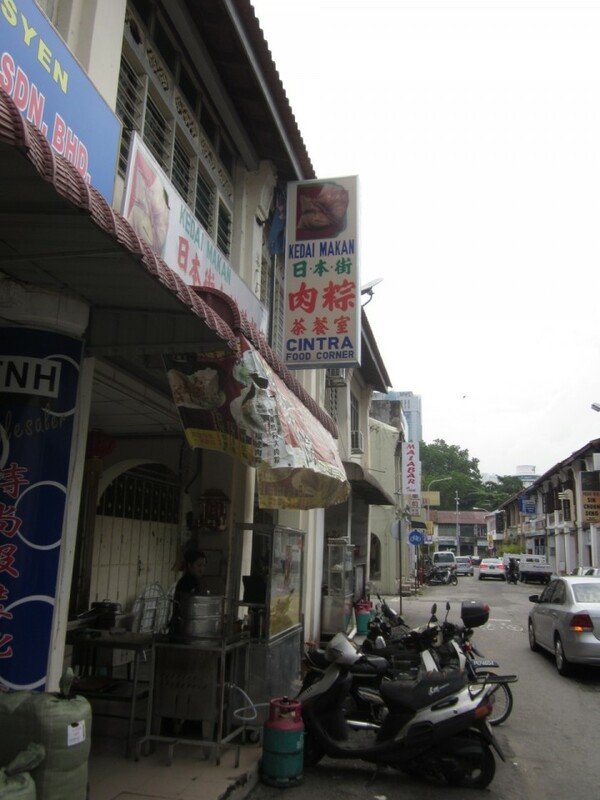 Cintra Street Food Corner is run by Lor family which is famous for their bak chang, tau chang, yam cakes and red bean tong sui. 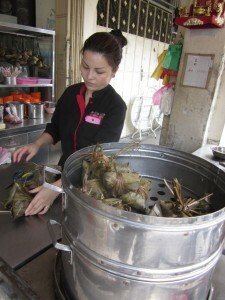 Bak chang is glutinous rice dumpling stuffed with pork, salted duck egg yolk, chestnut and shitaki mushroom wrapped with bamboo leaves into a triangular shape. These bak chang and tau chang are sold throughout the year.